The country of Spain offers a unique and rich culture which should not be missed. From the food to the beautiful landscapes and the lively Spanish way of life, after a holiday here you may never want to leave. Actually, I know for a fact you won’t want to leave. Despite eating your weight in Spanish food (which is delicious and well worth it by the way), there are lots of unique things to do in Spain. 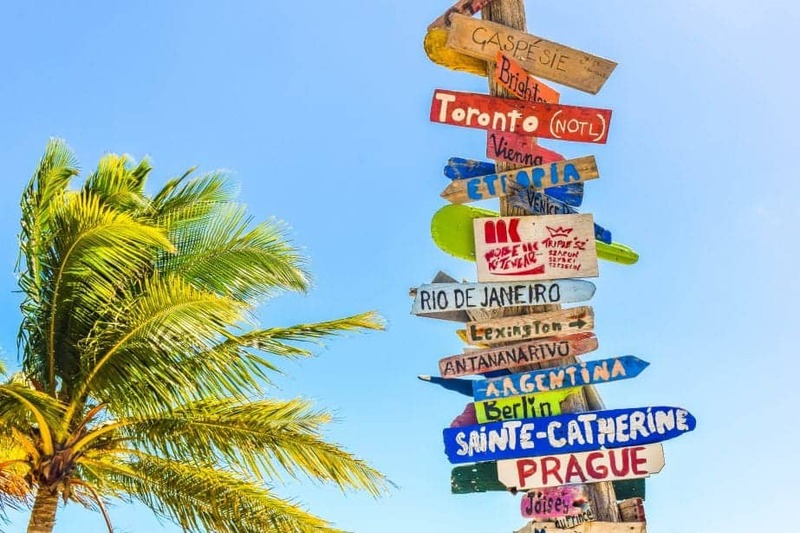 With Spain being so big and with so much on offer in this beautiful country, you may be wondering what to do in Spain and what the best places to visit are. Here are 31 of the most exciting and fun things to do in Spain that you cannot miss! One of the best things to do in Spain is to learn about the food! When visiting Spain trying the local food is an absolute must. The Spanish cuisine is just amazing but unfortunately, in Barcelona sometimes it could be very difficult to find the great and authentic one. 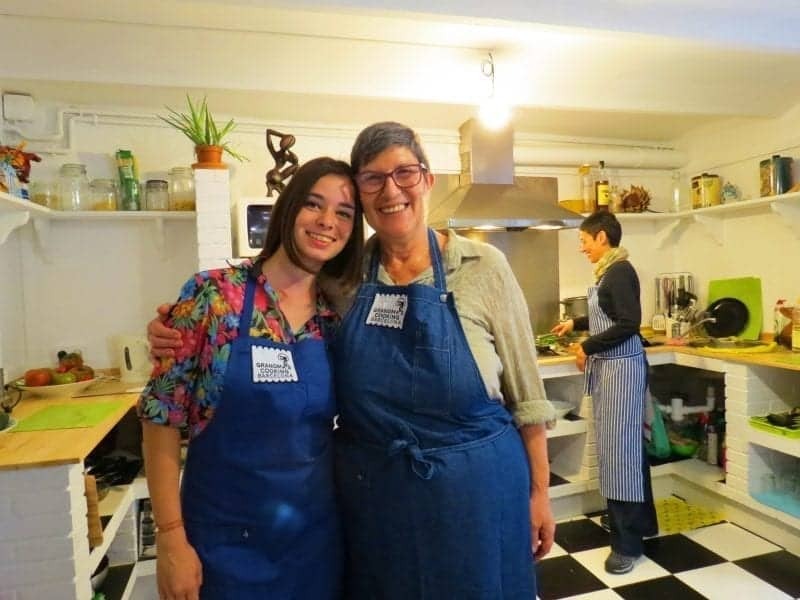 Luckily, you can go even further than just finding a good place to eat but joining a unique experience: The Grandma’s Cooking Barcelona. I had such a great time in the cooking class and the food that we all prepared together was just incredibly tasty. I could eat the same thing every day. Seriously, when in Spain, don’t miss on that. If your visit to Madrid falls on the second weekend of the month, don’t miss the Mercado de Motores. 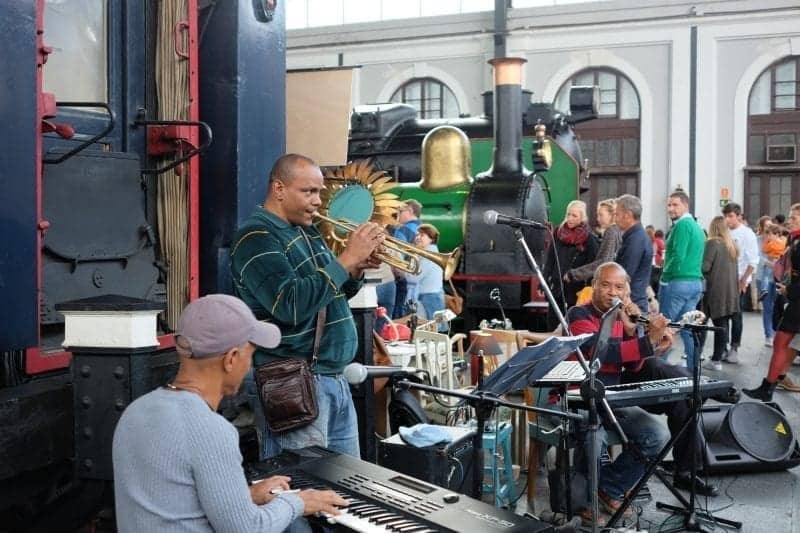 This quirky food and flea market is held in a grand old train station not far from the centre and makes for a fun afternoon of bargain hunting, eating and drinking, listening to live music and maybe catching a film in the pop-up cinema. Stroll up and down the platforms between the historic trains (for most of the month, this is Madrid’s railway museum) browsing vintage stalls and one-off gems from Madrid’s most interesting homeware, fashion and accessories designers. When you’ve worked up a hunger (or thirst) exchange cash for tokens to spend at one of the many food stalls inside the station, or the food trucks parked in the grounds. 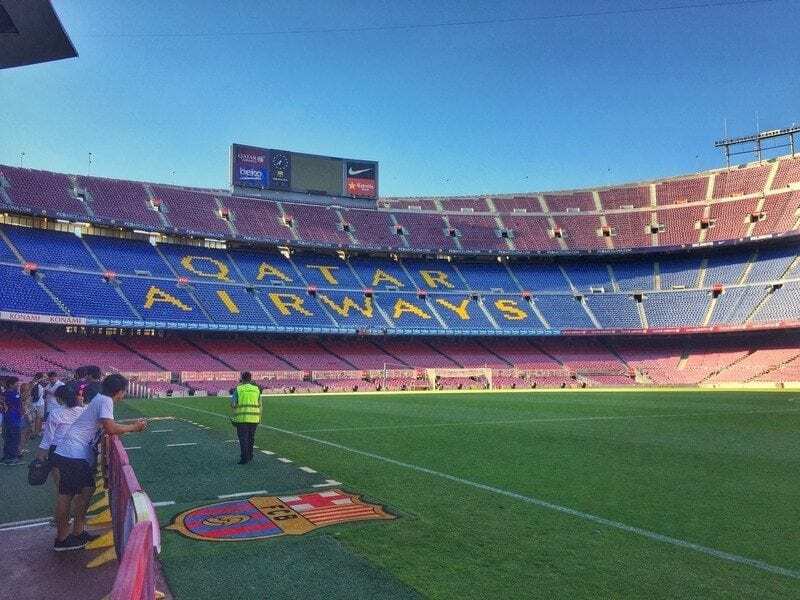 Camp Nou is home to one of, if not, the most recognisable football teams in the world, FC Barcelona. And when you visit Barcelona, you can stand pitchside on the hallowed turf and learn about the clubs history in the Camp Nou Museum. Both experiences are part of the Camp Nou Tour. This is one of the best audio tours I’ve experienced and even if you’re a football fan you can enjoy this tour as FC Barcelona is ‘more than just a club’. They’ve influenced the cities culture over the years as a gateway for the waves of immigrants coming to Barcelona to integrate into society. As you’ll learn on the audio tour, when FC Barcelona is successful, things tend to be good in general around Barcelona. The beautiful city of Ronda is located in the province of Malaga, more or less two hours drive away from Seville. The best thing to do in this Spanish city is to simply meander around with a camera in your hand. Chances are, you will probably end up seeing the place through your camera lens, as Ronda is so stunning, you won’t be able to stop photographing it from all angles. Ronda is well known for its deep gorges carved by the River Guadalevin. Amongst the main attractions are The Three Bridges called the Roman Bridge, The Old Bridge and The New Bridge which span the 100 plus metre canyon. And since Ronda is in Andalucia, it can only mean one thing: lively locals, bustling restaurants and delicious tapas which will surely make the trip to Ronda all the better. La Rioja is one of Spain’s most well known wine regions. 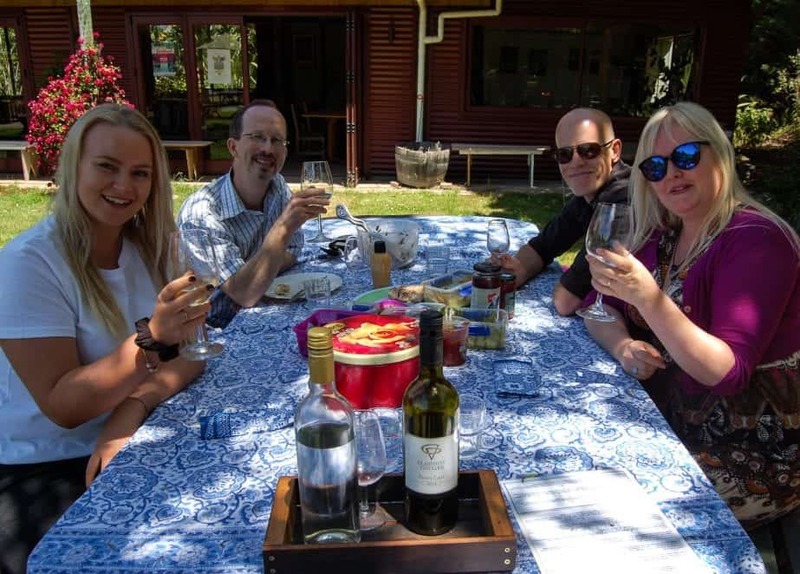 It’s a perfect area to explore if you love wine, because it’s easy to get to, easy to navigate, and it’s very welcoming to wine lovers. La Rioja is a large wine region and it’s split up into smaller growing zones called Alta, Baja and Alavesa. 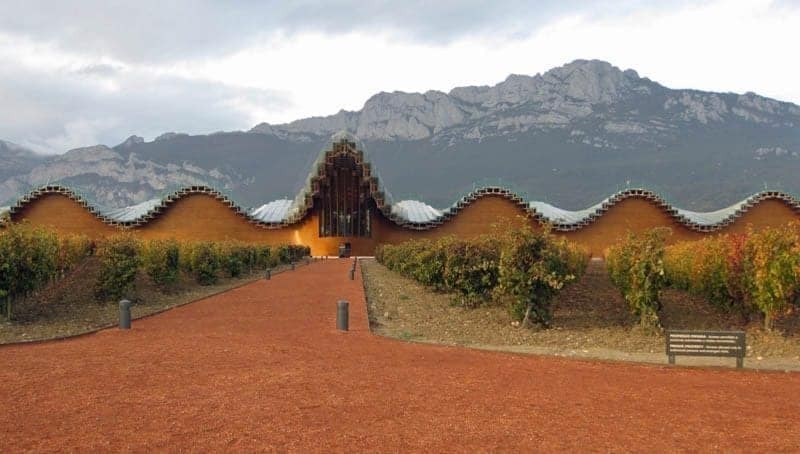 There are bodegas of interest to wine tourists in each of these areas, but most tourists tend to center themselves in Alavesa. La Rioja is mostly known for its Tempranillo wines that are aged to perfection before being sold. You can try those wines at the dozens of bodegas (wineries) that are spread around the area. Be sure to make an appointment in advance for a wine tour and tasting, and get ready to see some of the most beautiful vineyards and wineries in the world. I will be the first person to admit—I regularly don’t like cider. The overly sweet smell and taste totally puts me off. However, this isn’t what you’re going to get in Asturias. The cider here is different in many ways and it’s actually more of an experience than just a drink! Walk into a restaurant or better yet, a cidery, in Asturias and grab a shot (yes, a shot) of some of the best cider you’ve ever had! The cider here is extremely fresh and is poured by the shot. The bottle of cider is lifted up high while poured into the glass below so it can create bubbles. You then drink the shot in one go because if you let the cider sit, the bubbles are lost and the cool cider pouring technique goes to waste! 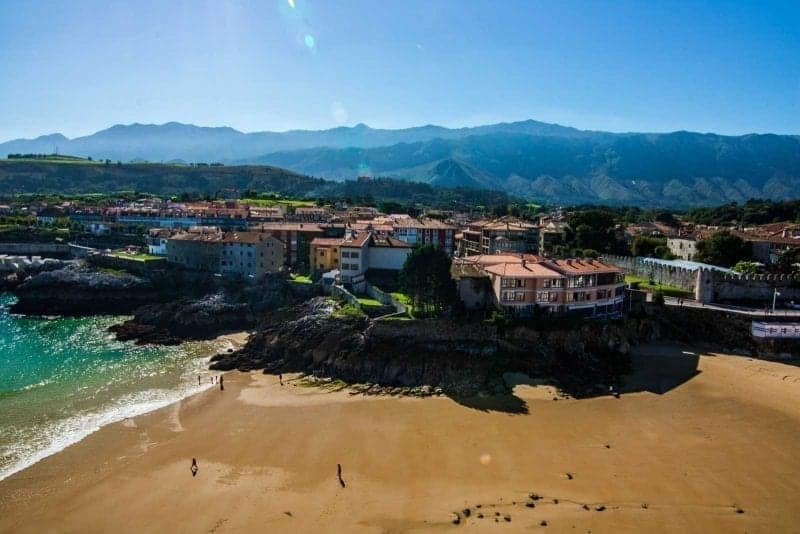 I’ve never had cider so good and I was easily entertained by the pouring methods, that in combo with the wonderful beaches—I was in heaven in Asturias! This is one of the top things to do in Spain for cider lovers! Gran Canaria is one of the Spain’s Canary Islands. The island is known for its eclectic nightlife, LGBT-friendliness, and serving as a stopover for many cruise ships but don’t let that fool you. Visit the island for its natural wonders and you’re in for a pleasant surprise. With year-round warm temperatures, the island is home to many beaches including my favorite Gran Canaria beaches Play Guigui, a secluded black sand beach. Don’t forget the incredible dunes reminiscent of the Sahara Desert. There’s also plenty of hiking with the most beautiful trek taking you to Roque Nublo, Gran Canaria’s highest point. One of my favorite outdoor activities to do in Spain is touring Bodega Berrazales, the only coffee plantation in Europe, where you can sample wine, coffee, and learn to make Canarian mojo sauce. 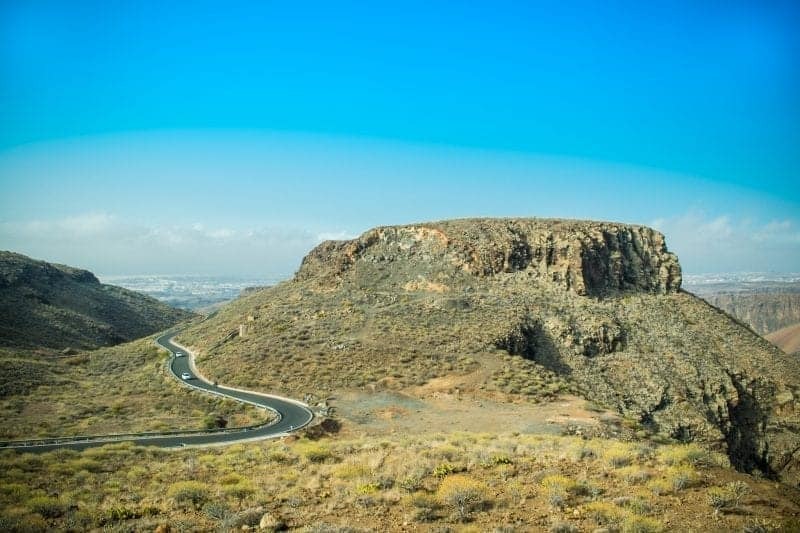 Gran Canaria checks all the boxes and is definitely worth a visit! Girona,just an hour train ride east of Barcelona is one of those less touristy cities in Spain that really gives you a good view of the lifestyle in Costa Brava. A medieval city with an historic center and more modern district closer to the Onyar river which runs through the city center. It’s fun to walk through the old parts of the city and climb up to the cathedral for fantastic views of the entire city below. Another fun tour would be to walk around the ramparts of the city to get different scenic views of the city and surrounding countryside. Locals love to hang out in the many squares in the city and along the river especially in the evening hours when the city really comes alive with people, cafes that spill out into the streets, music and lively street performances. 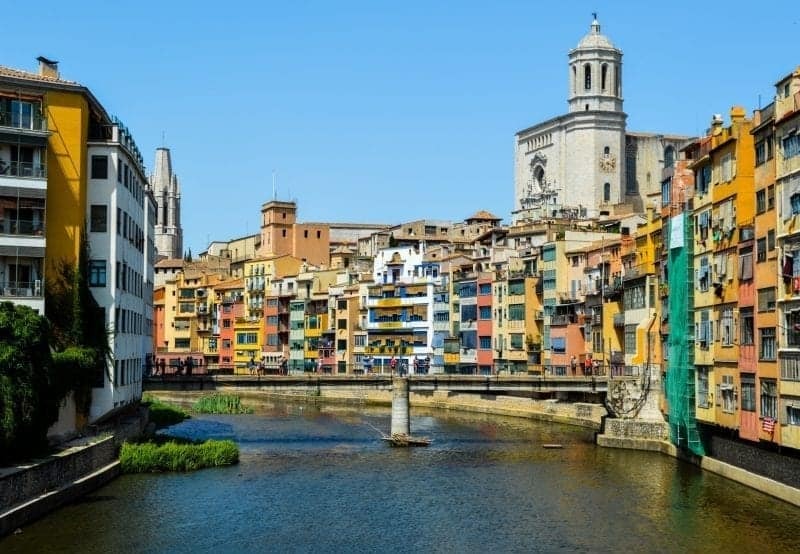 Girona is oozes historic charm, fun squares to hang out in and cool walks along riverfront areas that have markets on the bridges and various squares to explore. Check out my post on Girona here for more details and images of this magnificent city. Catalonia is one of my favourite regions in Spain to explore by bike. It seems to have the perfect mix of beautiful countryside, medieval towns, heritage, culture, and quiet cycling routes. This wonderful network of cycling lanes includes many which run well away from any road traffic. 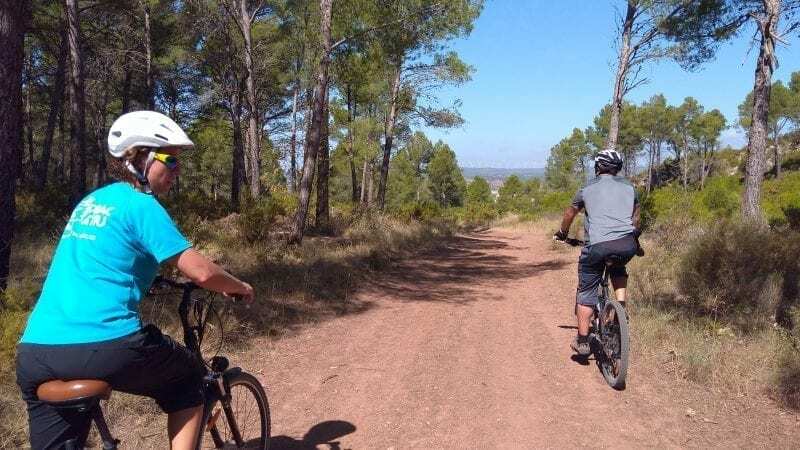 The Vias Verdes or Greenways in particular are a joy to cycle on, whether just taking a day ride, or embarking on a much longer bicycle tour. They tend to run mainly along old railway lines, and have been purposefully developed as cycling infrastructure. If only more countries around the world could follow in the same way! Interested in finding out more about cycling in Catalonia? Here’s Dave’s Travel Pages guide to Cycling in Catalonia. San Sebastian may not be the first place you think of going when you visit Spain, but it should definitely be on your itinerary! This city in Northern Spain is a beautiful and culturally rich destination. One of the best things to do is to hike Monte Igeldo. From the top you will get an incredible view of the city below and the mountains in the distance! 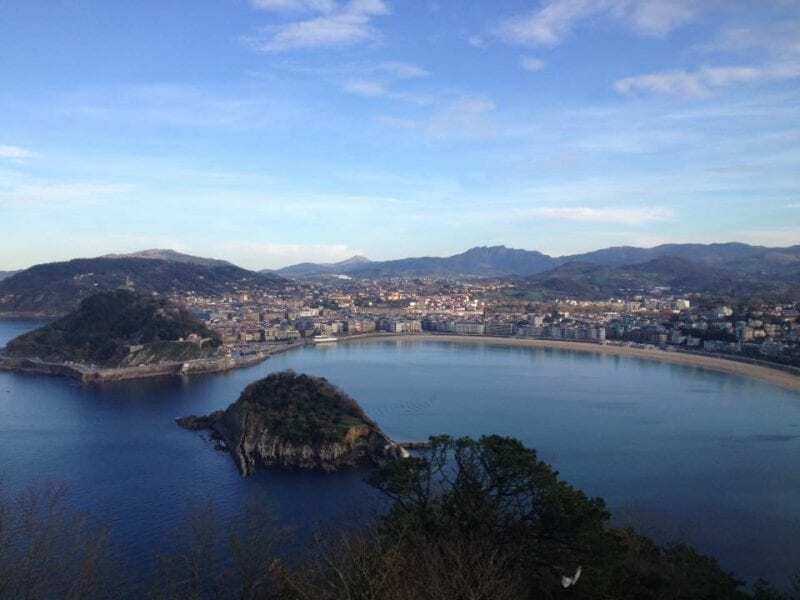 San Sebastian has a number of fantastic beaches within easy distance of the city centre. La Concha is a beautiful beach with incredible views out into the Bay of Biscay. While Playa Zurriola is the place to go if you want to do a bit of surfing! It may not be the most well-known destination in Spain, but San Sebastian is one place you definitely can’t leave out of your trip to Spain! 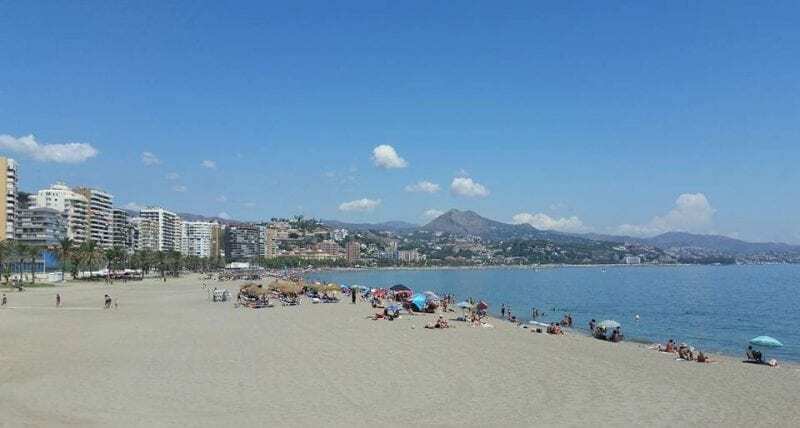 Malaga is the birthplace of legendary artist Pablo Picasso, and this gorgeous city in southern Spain’s Costa del Sol offers a museum dedicated to Picasso, a lovely historic Old Town area and plenty of other attractions, such as a Roman theater and the Moorish fortress Alcazaba. For a relaxing day or some fun in the sun, you’ll also love the city beach and its inviting boardwalk. The yellow sands stretch wide, and you can join tourists and residents alike who come to splash in the sea or work on their tans. The well-developed promenade is ideal for walking, jogging or biking. It even has outdoor workout equipment, and there are several small restaurants and bars to settle in for a cold beer or tasty tapas meal. Paella is something that most of us have tried at least once, but a trip to Valencia is a chance to try it in its most authentic setting. Paella originates from Valencia and, although you’ll find plenty of restaurants selling paella in Valencia itself, one of the best and most atmospheric places to try is in The Parque Natural de la Albufera. 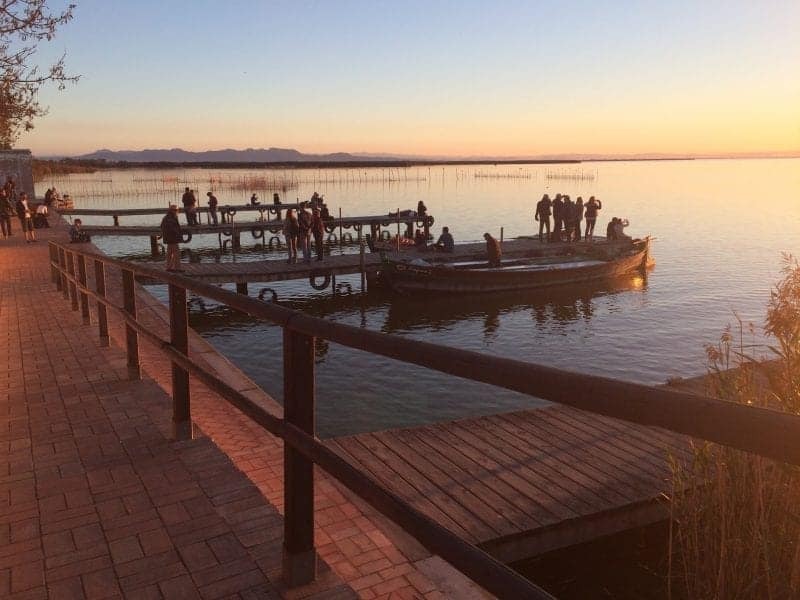 Situated 25 km outside of Valencia, the Parque Natural de la Albufera is where the rice for dishes like Paella, Arroz a Banda, and All i Pebre is grown. Take the time to wander around the town, visit the surrounding rice fields, and take a boat ride through the marshes, before settling in for a paella lunch. 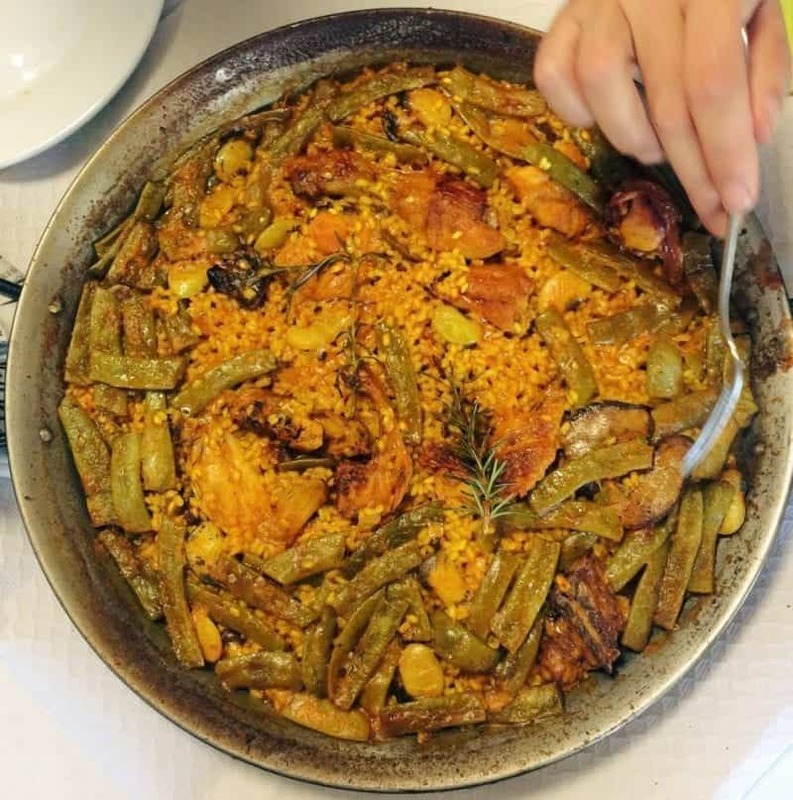 You’ll find many types of paella on offer including paella de marisco and paella de verduras, but when in Valencia it just has to be paella Valenciana. 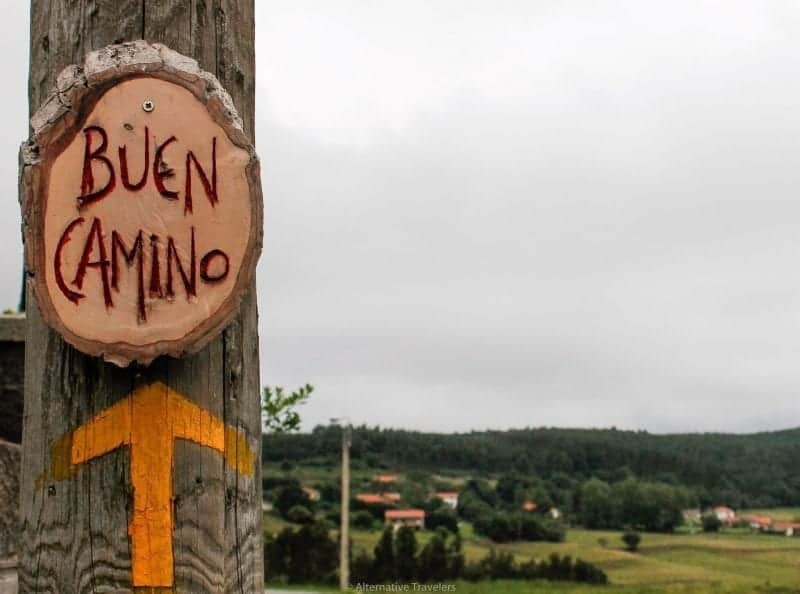 The Camino de Santiago is more than just one of the best experiences in Spain – it may just be one of the best experiences of your life. It certainly was for me and countless others I met along the way. The Camino is a medieval pilgrimage route ending in Santiago de Compostela in the northwest region of Spain. Today, people walk the Camino for myriad reasons. 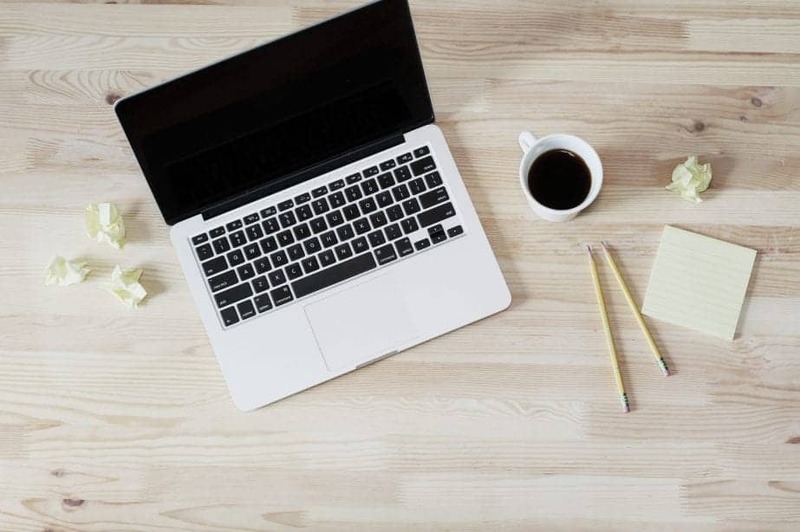 It draws people struggling with loss, life direction, or those overwhelmed by our busy world and in need of time to disconnect. Others do it purely for the physical activity. Taking one, two, or five+ weeks (depending on where you start walking) to walk across the beautiful and diverse landscapes of northern Spain is a transformative experience and a great immersion into Spain as well. Best of all, it takes very little planning as you simply walk each day to the next place to stay. Head to our Camino de Santiago packing list for tips on what to bring. The food in Spain is incredible. 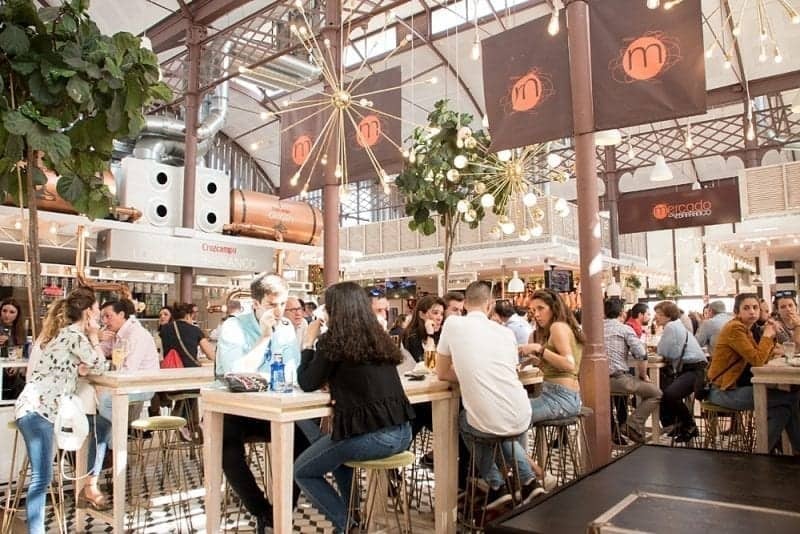 It’s particularly delicious in the south of Spain, or area known as “Andalucia.” You’ll surely enjoy food all at many individual restaurants during your trip but if you want a really cool (dare I say “trendy”) experience be sure to visit Mercado Lonja del Barranco food hall. There’s something for everyone there. The best part is you can sample everything! I purchased a slice of a traditional Spanish omelette when I was there, indulge in a portion of salmarejo (a cold Spanish soup), eat huge delectable olives, or purchase a helping of paella to name just a few options there. Segovia is a small town in the foothills of the mountains, just north of Madrid, and easily accessible by train from the capital. Growing up around one of the finest remaining Roman aqueducts, the small city screams of history dating back over two thousand years. 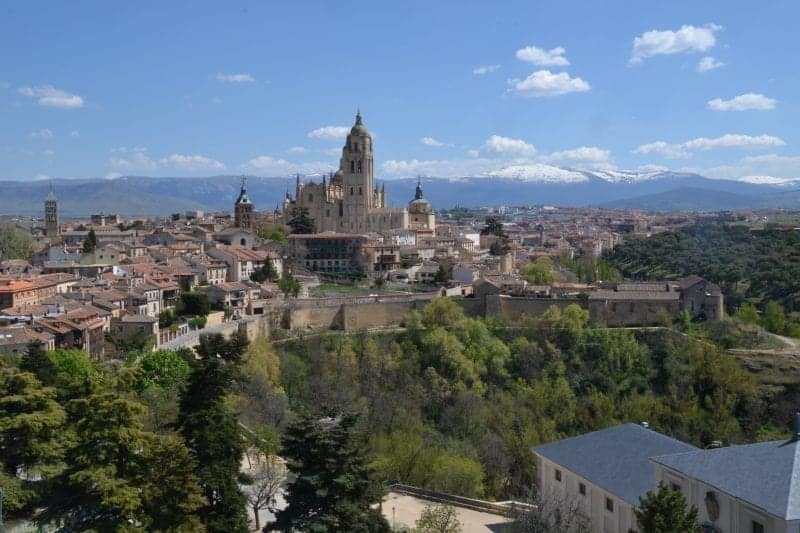 Other sites include a stunning gothic Cathedral and an impenetrable castle, the Segovia Alcazar. I’d highly recommend the tour of the castle, the audio guide is very informative and, if you’re feeling fit, you can climb the 152 steps to the top of the tower for some jaw-dropping views back over the city and surrounding landscapes. Finally, it wouldn’t be a Spanish city if it didn’t have its own iconic food. In Segovia, it’s Cochinillo Asado, a roast suckling pig, cooked in a very special oven. The locals take great pride in this dish, and after a quick taste, you’ll see why. The Alhambra in Granada is one of Spain’s most famous destinations. It’s a former Moorish palace which sits high on a hill overlooking Granada, and is a UNESCO World Heritage Site. Inside the Alhambra you can explore a huge complex of buildings – some are parts of the old Moorish palace and others are later, Christian additions. Don’t miss the beautiful water gardens in the Generalife palace – they’re filled with fountains, pools and roses and you can get a great view of the rest of the Alhambra. 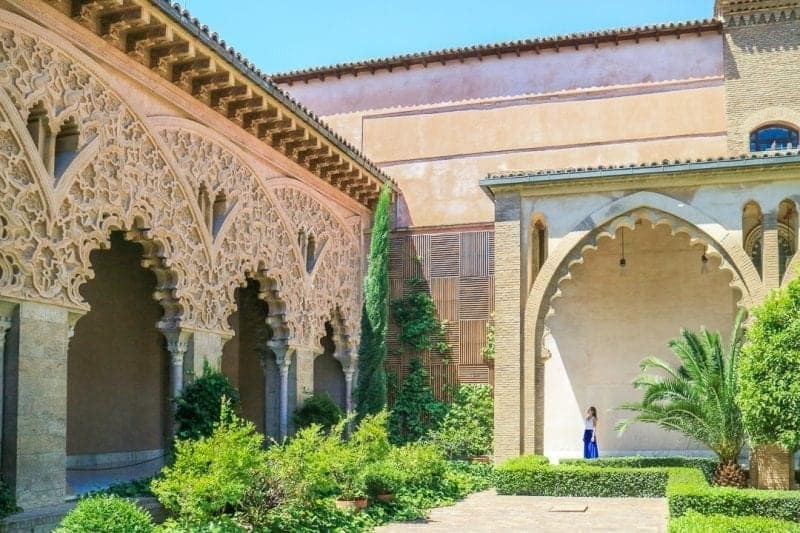 The main highlight is the Nasrid Palace which is a series of rooms and courtyards. They are covered in sumptuous Moorish tiles and carvings, and the domed stuccoed ceilings are breathtaking. 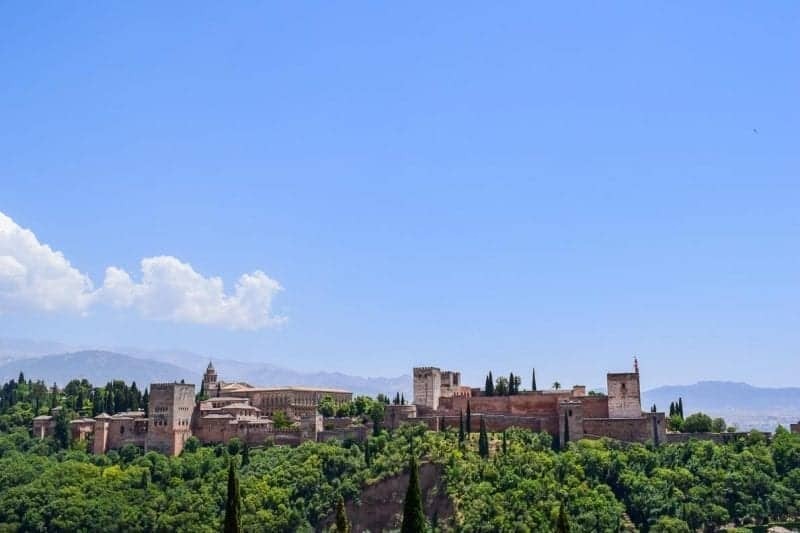 The Alhambra is well worth half a day of your time in Spain! Just be sure to book your Alhambra tickets as far in advance as you can. 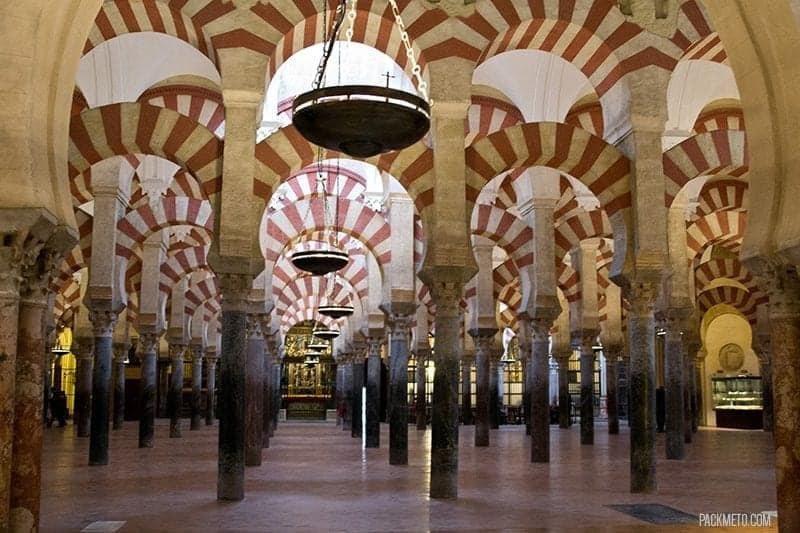 When visiting Spain, be sure to visit Cordoba so you can visit the Mosque-Cathedral of Cordoba. 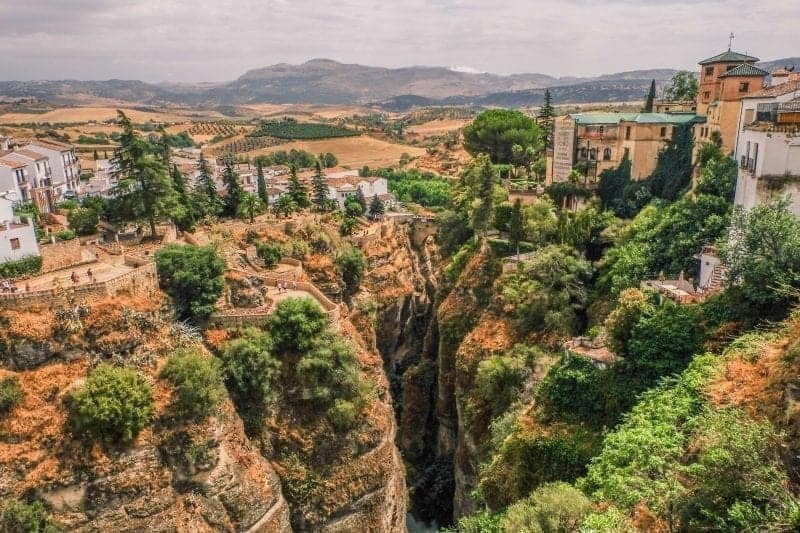 This UNESCO World Heritage site, located in Spain’s southern region of Andalusia, has been passed through many hands from Roman temple to church to mosque. Today, the site combines features of both a cathedral with its numerous chapels as well as a mosque with the inclusion of a mihrab. However, what immediately captures your attention are the more than 850 pillars topped with horseshoe arches in alternating strips of red and white that divide up the prayer hall. Together, they make for a stunning visual and a delight for any visitor to explore. Head to the top of the bell tower for a great view of the rest of Cordoba as well. Only an hour train ride from Madrid is the old walled city of Toledo. The Capital under Isabella, Toledo is highlighted by an incredible cathedral, old synagogue, and a maze of cobblestone streets and alleys. When you visit the cathedral, make sure to use their free audio tour, included with admission. It is about 2 hours and well worth it. Head into the Jewish Quarter for some amazing history, and the best view from the walls! Note: walking in Toledo is steep and uneven, so keep that in mind when visiting. Gazing down at the city from a vantage point, Ávila looks like a setup from a storybook. Ávila is more about traditional Spanish culture than a holiday mecca. Thousands of tourists visit it each year, for, it offers a lot of things. 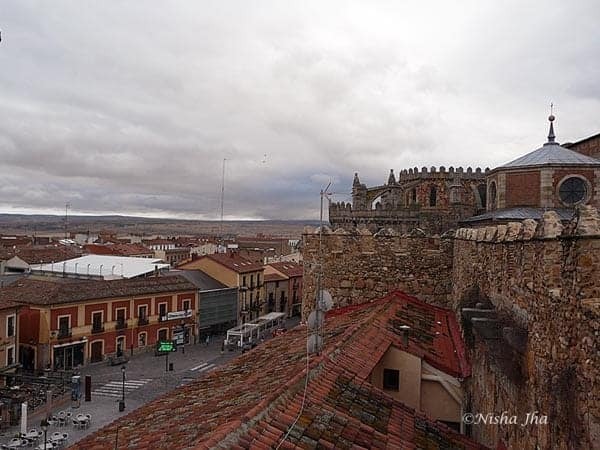 The Old City Walls – The World Heritage city of Ávila in Spain is protected by formidable fortified medieval walls around it and you immediately fall in love with the town. The walls are considered among the finest city defences in the world. Do the City Walls tour. Cathedral of Avila – One of Avila’s oldest religious buildings, the Cathedral of Avila is heralded as representative of the finest Gothic, Romanesque and Renaissance architecture in Europe. Don’t miss the Cathedral Museum too. It houses a large artefact collection including tapestries and embroidered pieces that are extremely valuable. Pilgrims also flock to Ávila because of its connection with Saint Teresa. The Museum of Oriental Art – This fascinating museum is a showcase for Asian art. The collections include some stunning ivory carvings and metalwork, and a room of exotic animals. Visit Avila’s Tapas Bars – Like any other city in Spain, Avila is also known for its tapas bars. In some of them you get a free plate of tapas with each drink or, even if you have to pay, they’re only around 2.00. Eat Avila Veal – Avila has been world famous for centuries for its finest veal producers. Many of Avila’s restaurants, whether they are high-end exclusives or less expensive eateries serve this succulent meat. Most of these veal dishes are served with Avila’s other speciality, beans or Barco de Avila. Yemas de Avila- Yemas de Avila is a dessert made of egg yolks & sugar, you cannot avoid it. People buy it as a souvenir also. If you have time for just one cultural activity in Spain, make it flamenco. 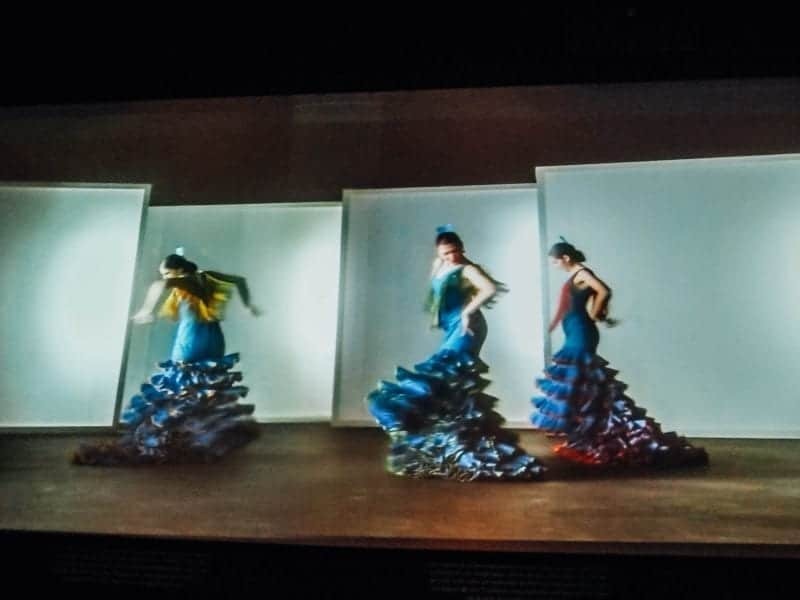 This iconic Spanish art form evolved in Andalusia from the dances and songs of gypsy immigrants several centuries ago. Today there are countless dance forms and musical styles that are known as flamenco. Some are sad and soulful and others are fun and festive. I love the rhythmic hand clapping, foot stomping and jaleo. Translated as “hellraising”, jaleo are the shouts of encouragement as the performances become more intense. You can book flamenco shows in advance or catch a street performance. But the best shows are found at intimate, hard to find bars in cities like Seville and Granada. Montserrat is an incredible destination in more ways than one. The mountain whose name in Catalan translates to “serrated mountain” is indeed a jagged handsaw-shaped giant. Rising up to 1,236m at its highest peak, it’s an imposing sight with its rugged teeth-like ridges jutting up into the sky. 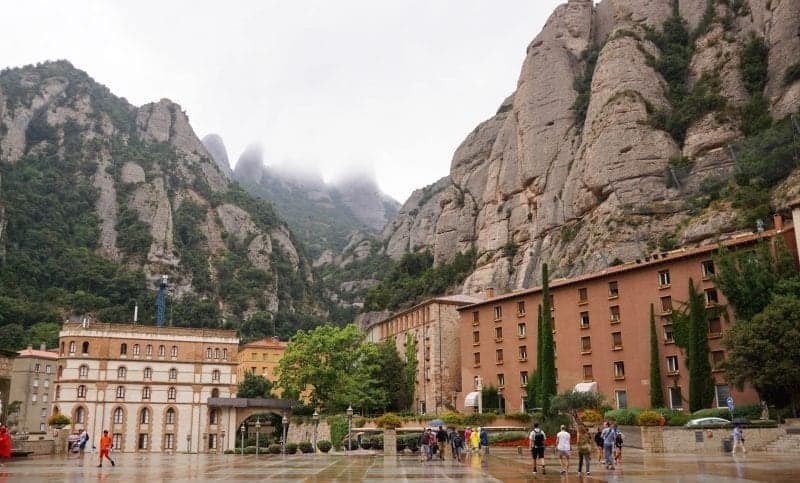 A little more than halfway up the mountain you’ll find the Santa Maria de Montserrat Abbey, one of the most sacred sights in Spain and home to the Black Madonna. To get up the mountain, you can drive to the Monastery, take the cable car, hike, or ride the rack railway. Take your time to visit the monastery and the museum before taking the funicular higher still! There are fantastic walks to do at the top of the mountain and even better views. Be sure to schedule in enough time so you’re not rushed at the top. This is one of the most unique and best things to do in Spain! If you are looking for a nice island getaway in the Mediterranean, then you are actually spoilt for choices. But I loved my 2 days in Mallorca, a Balearic island just off the coast of Barcelona. Most people prefer the party island, Ibiza but I was looking for some peace and quiet when I went to Mallorca. Don’t get me wrong. The capital, Palma De Mallorca is a party destination as well but I stayed in the North part of the island called Port De Pollenca. There is something to do for every member of the family. If you love history, then there are numerous places to visit in Palme De Mallorca. Go orange hunting in the town of Soller or take a tram from Port De Soller to Soller. Go visit the monastery in Valldemossa where the famous composer Chopin once lived with his lover, George Sand (Amantine Lucile Dupin). If you love to go beach hopping, you are sure to find some azure and turquoise coloured beaches around Mallorca like Cala Millor or Cap de Formentor in the north. 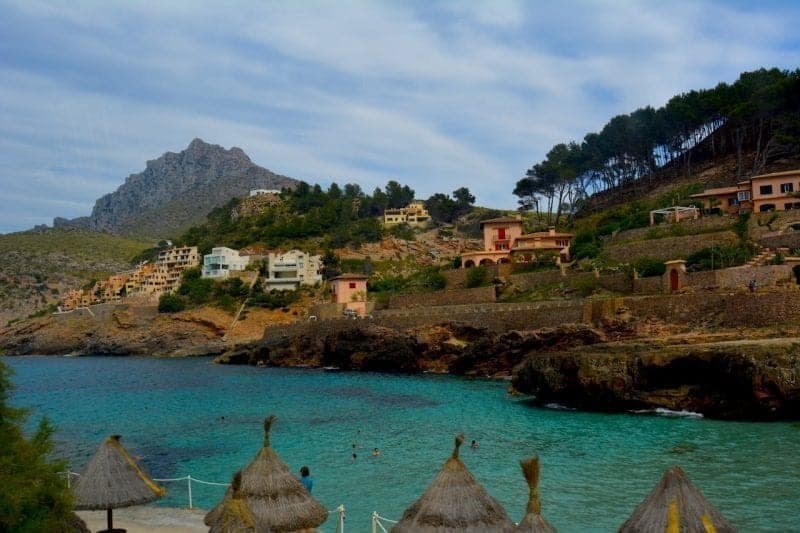 Even Port De Pollenca boasts of a gorgeous beach. If you love hiking, then there are many hikes around the Serra Da Tramuntana mountain range. Mallorca is definitely a must do in Spain and I hope you get to enjoy this island as much as I did. One of the best things to do in Spain is to attend one of the many crazy festivals that go on throughout the country each year. You can run with the bulls in Pamplona or join the La Tomatina festival to pelt friends with tomatoes. But our favorite summer fiesta in Spain is the Wine Fight! Known as the Batalla de Vino (Battle of Wine), this wild festival takes place in the village of Haro. Every year at the end of June, people descend to this wine-producing town in the heart of Spain’s La Rioja wine region to wage a war using wine. 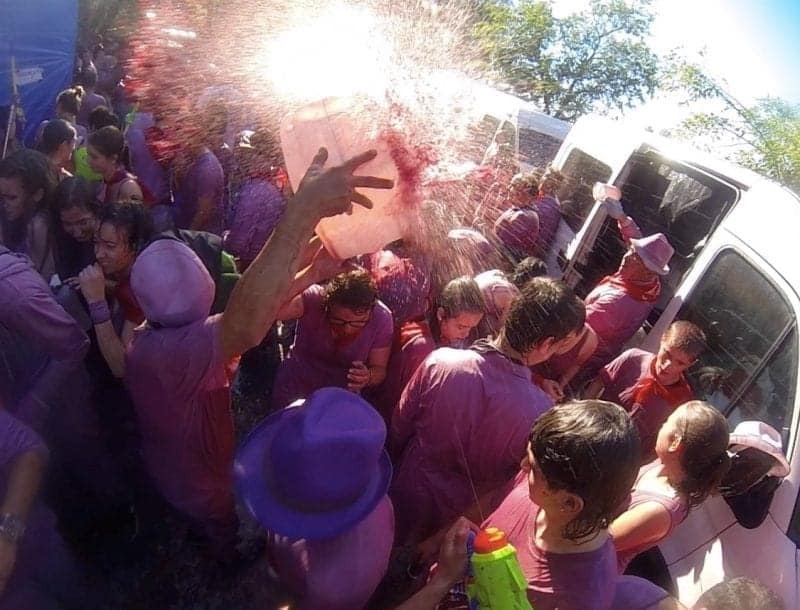 The Spanish red wine is squirted from sprayers and dumped by the bucketful, soaking everyone to the core. During the night before, there’s a huge party that rages in the village’s atmospheric alleyways. Of course, not all the wine is squandered during the battle. There’s lots of wine that gets consumed too! But after one long night, the war begins. And it’s all so much fun! If you find yourself in Seville, you can hop on a train to visit the Candy cane double arches of Mesquita in Cordoba as a day trip. The Mesquita also called the Grand Mosque or Cathedral of Cordoba is quite unique. 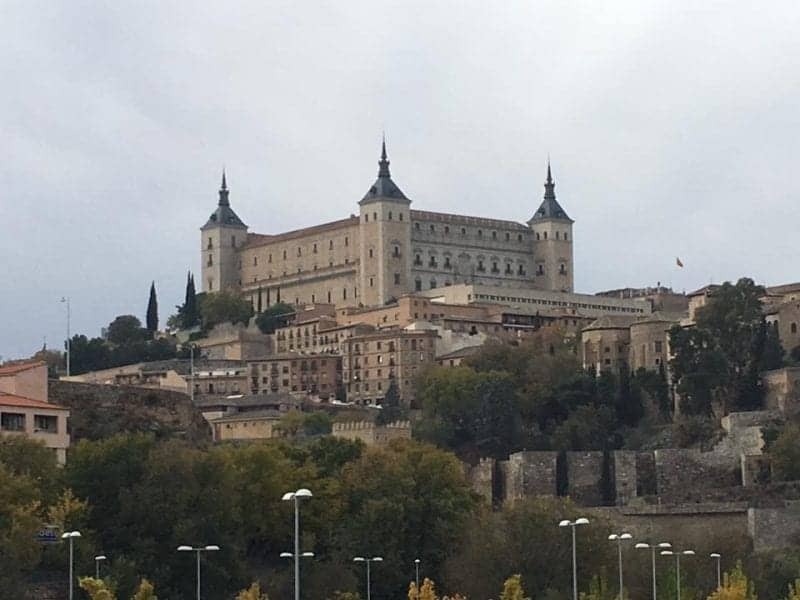 Although originally built as a Mosque, the center of this magnificent building was converted to a Cathedral after the Christians conquered Spain. After walking through the forest of pillars made from different colored granite, marble and alabaster supporting dozens of horse shoe arches, that looks like candy canes stop for some Paella. The tiny streets around the Mesquita are filled with shops and restaurants. Lunch at the Las Piconeras was one of the best we had in Andalucía – we had the best Paella, fried eggplant with honey, olives and salmorejo – which is like gazpacho but richer and smoother. Next walk through the narrow Flower street, lined with blue pots brimming with foliage and a nice view of the bell tower of the Mesquita. The history will want to go see the Alcázar de los Reyes Cristianos (Spanish for “Alcázar of the Christian Monarchs”) – Isabella and her husband Ferdinand used the Alcázar for one of the first permanent tribunals of the Spanish Inquisition and as a headquarters for their campaign against the Nasrid dynasty in Granada which was the last of the Moorish kingdom in the Iberian Peninsula. The monarchs are said to have met Christopher Columbus in the Alcázar as he prepared to take his first voyage to the Americas. The Alcázar also later served as a garrison for Napoleon Bonaparte’s troops in 1800. Then walk on the Roman bridge built over the Guadalquivir river, this river runs through the entire length of Spain; before catching the train back to Seville. One of the most unique experiences I have had in Spain is visiting Sevilla for Semana Santa otherwise known as Holy Week. 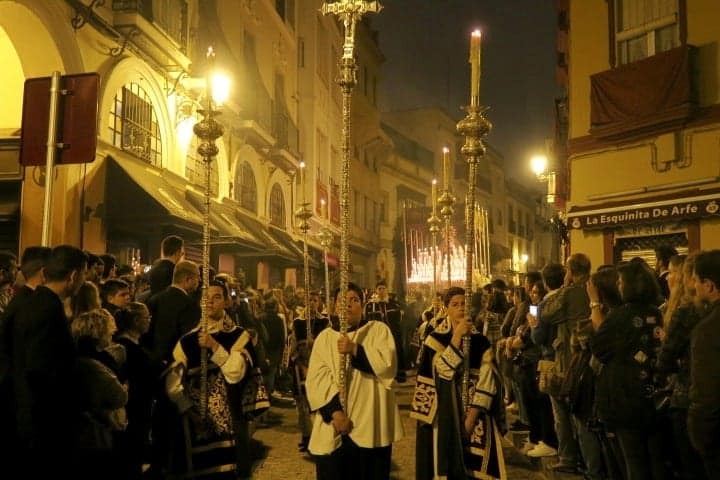 Each year on the week leading up to Easter Sunday, brotherhoods from the 100 plus churches in Sevilla walk in processions all day and all night. These brotherhoods carry floats with lifelike depictions of the life, death, and resurrection of Jesus Christ and the Virgin Mary. This may sound quite serious and for those who are religious it absolutely is, but you do not have to be Catholic or even believe in religion to enjoy the beauty of these floats. You will undoubtedly be affected by the smell of burning incense and the vision of 2000 candles slowly being carried toward you by robed men, women, and children walking barefoot on a street where all the lights have been turned off. Oh, and it’s completely silent except for the marching bands that announce the arrival of the float and a lone singer on a balcony above the crowd. Don’t expect to get very much sleep because some of the best processions start at midnight and end 12 or 13 hours later. But, a solid power nap from 3AM to 6AM will sustain you as will the bars packed with locals and tourists alike which are open all night for those celebrating the holiday. A road trip through Costa Brava is the best way to experience one of my new favorite regions of Spain. Costa Brava has everything- gorgeous beaches, amazing food and wine and charming medieval villages and larger cities, both full of history. I recently spent a week exploring the area and hope to return soon to see more. I recommend using Girona as a base for your road trip like I did, as it’s centrally located. Make sure to allow at least a couple of days to explore Girona itself as there’s lots to see and there. From Girona you can tour vineyards and olive oil farms, learning what goes into making each of the products before you sample them. The region also has one of the highest concentration of Michelin starred chefs in all of Spain so there are tons of amazing restaurants. 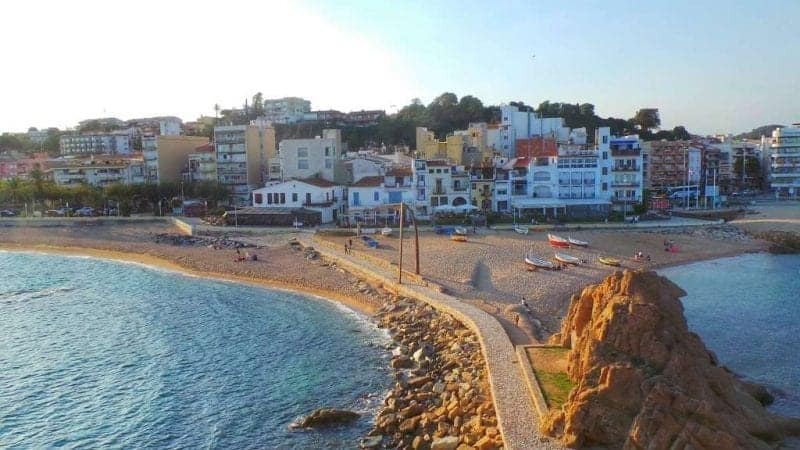 Make plans to road trip Costa Brava on your next visit to Spain! Exploring the Aljaferia Palace is one of the most unique things you can do in Zaragoza, Spain. This stunning Moorish palace is truly a remarkable gem and a rare historical architectural monument from the Taifas time that is still standing today. Built in the 11th century, Aljaferia was originally the residence of the Banu Hud dynasty. After the reconquering of Zaragoza by the Christian armies, it became the home of the kings of Aragon. The interlacing arches, geometric carvings, and ornate brickwork reflects the coexistence of the Muslim and Christian cultures. That is the reason why UNESCO declared the Aljaferia Palace as one of the most representative Mudejar architectures in 2001. There are many palaces, but Aljaferia is a true must see in Spain! Seville and Granada are Andalusia’s jewels, but don’t miss the White Villages between them when you’re in the south of Spain. 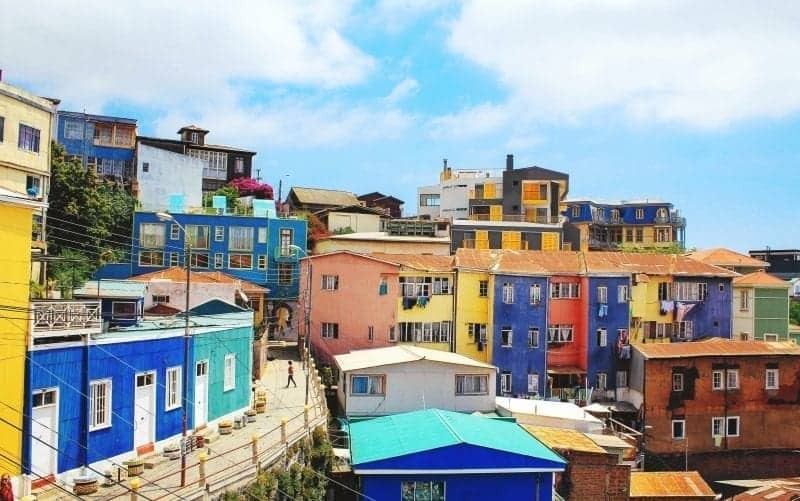 These small towns and villages, so named thanks to the white walls of (nearly all) their buildings, are full of charm, tradition, and postcard-ready photo ops. A day trip is enough time for a drive through a few of the towns so you can sample the gorgeous views, visit the village churches, and taste freshly-pressed olive oil. Or, pick a town to stop overnight in and spend some time with the friendly locals. The adventurous can make it a road trip between Seville and Granada, and perhaps include the coastal city of Malaga as well. Whether it is for the majestic wild landscapes, the remote beaches with clear turquoise water, or the stunning cliffs, you should not miss visiting Menorca! This small island is renown for its prehistoric monuments but remains a fairly unknown touristic destination, in contrast with its big sister, Majorca. You will be stunned by the wonderful hiking and biking routes along the coastline, you will explore picturesque villages, you will admire the aquatic fauna of the rugged shore, and you will reach inaccessible beaches on horseback. With regards to food, your palate will be pampered by typical Spanish dishes, amazing fresh fish, and of course by the famous “Caldereta de Langosta”, the local lobster stew. 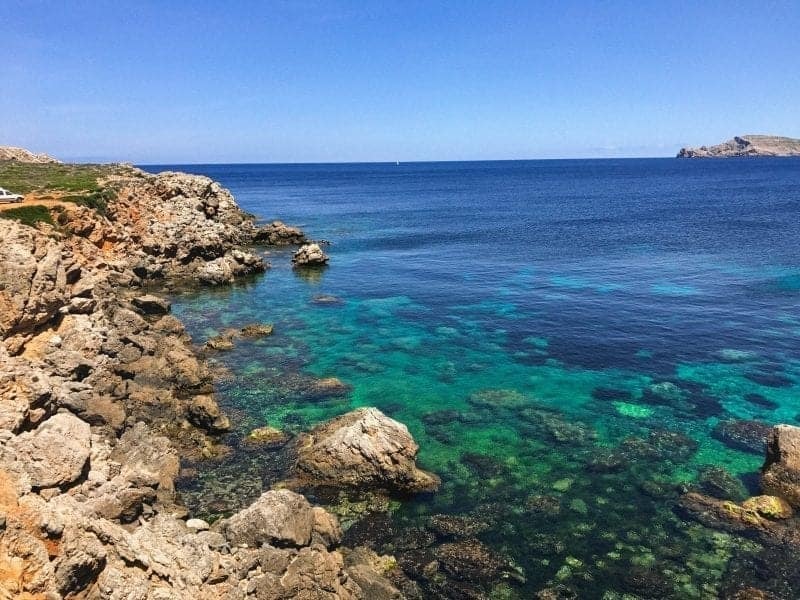 Visiting Menorca is by far one of the best things to do in Spain! 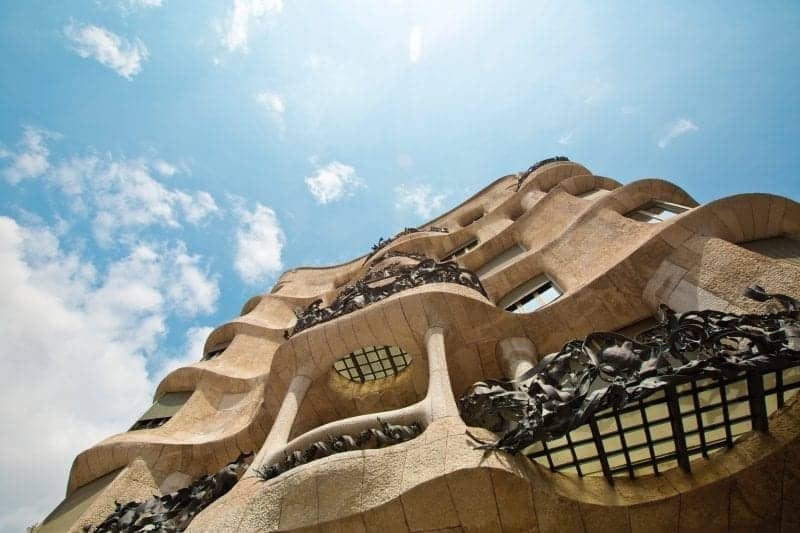 It’s impossible to visit Barcelona and not see some of the works by renown architect, Antoni Gaudí. His most famous work is La Sagrada Família, his masterpiece of a church that towers over the city and will hopefully be finished in 2027. But it’s worthwhile hunting down more of his works. Even if you’re not normally into architecture, his inventiveness and use of colour make his works stand out from the ordinary. There’s Palau Güell, just off La Rambla, plus his townhouses Casa Milà, Casa Battló and Casa Vicens, in the Eixample and Gràcia districts. It’s possible to view each from the street, or pay extra to enter inside. But his other most popular work is undoubtedly Park Güell, with its colourful touches and stunning views of Barcelona down below. Just one warning: make sure you book tickets in advance to each! This one is for the pyros. Las Fallas is an annual festival in Valencia, held on 15 – 19 March, that celebrates the spring equinox and the patron saint, St Joseph. During the week, the beautiful town of Valencia turns into a huge party, filled with music, paella contests, beauty pageants, fireworks and bullfighting. However, the main attractions are the huge cartoon-like structures that adorn the streets. 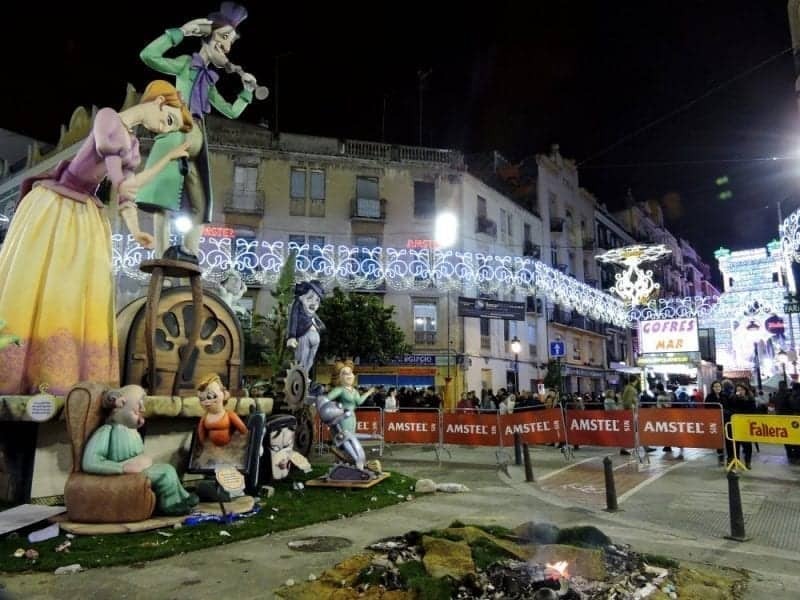 The locals spend a year creating these structures to put on display and compete for the best prize during Las Fallas, and on the evening of the final night, they are all set up in flames. The atmosphere during the week is electrifying, and the structures are nothing short of awe-inspiring, but the most unforgettable aspect of this festival is joining in with everyone else to watch these amazing sculptures (and a year’s worth of work) go up in flames. Tell me below which things to do in Spain is the first on your list! I love this collection of things to do in Spain! It’s really one of my favorite destinations in the world because of its incredible uniqueness – you can find experiences, foods, and landscapes that are entirely different in the north and south. There are so many great things to do there. And as a wine lover, so many great wine regions too. Great post!